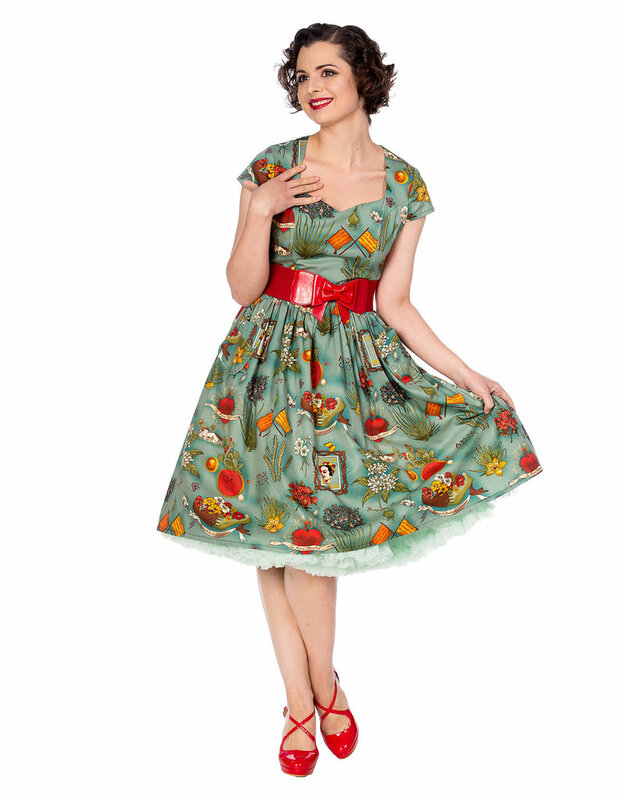 This enticing rockabilly dress from Banned Apparel, is perfect for everyday wear, or for special occasions. 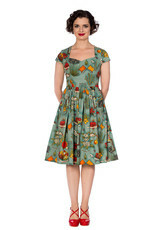 The vintage dress has an allover summer print with mexican details and a portrait of Frida Kahlo! 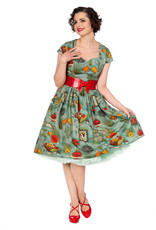 The dress features a sweetheart neckline and a figure accentuating shape. PLEASE NOTE! 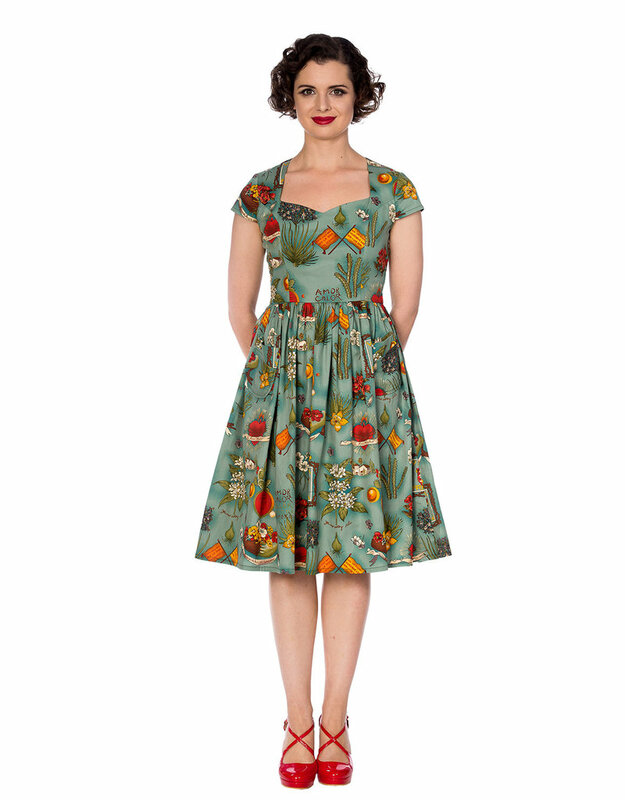 Belt not included!